Kia’s line-up at the 2017 Dubai Motor Show included the 2017 Kia Rio hatchback. 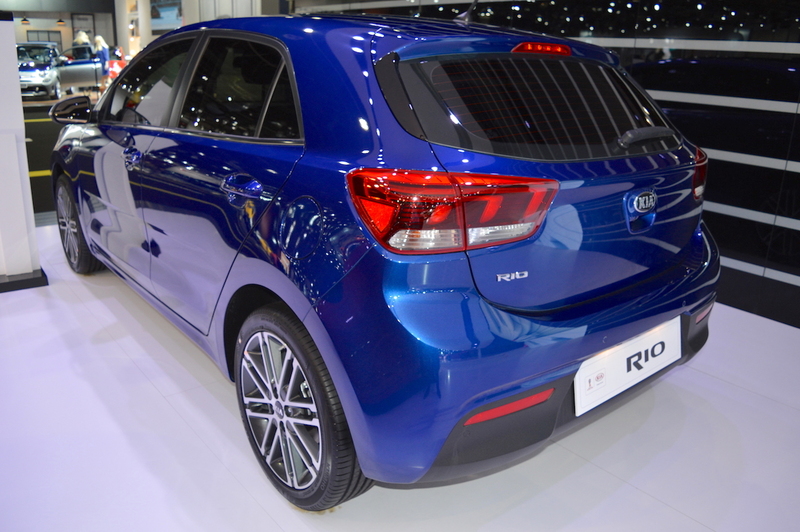 The company had unveiled the new Rio at the 2016 Paris Motor Show. 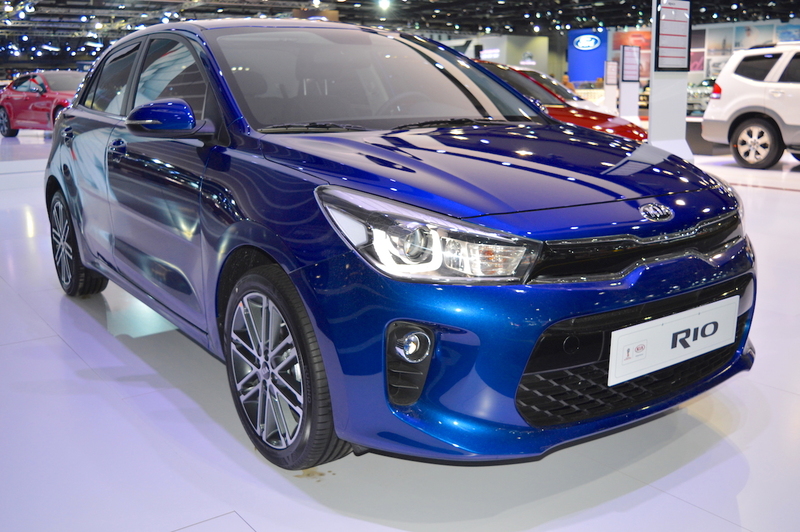 The all-new Kia Rio is the fourth generation of the South Korean supermini. The UAE-spec 2017 Kia Rio measures 4,065 mm in length, 1,725 mm in width and 1,460 mm in height. It has a 2,580 mm wheelbase and a 150 mm ground clearance. It is available with two petrol engines: K1.4 MPI and K1.6 MPI. The 1.4-litre engine produces 100 PS at 6,000 rpm and 13.6 kg.m (133.37 Nm) of torque. The 1.6-litre engine develops 123 PS at 6,300 rpm and 15.4 kg.m (151.02 Nm) of torque at 4,850 rpm. A manual transmission is not available, and a 6-speed automatic transmission is standard. Sleek ‘tiger-nose’ grille, bi-projection headlamps, electric folding mirrors, 17-inch alloy wheels and rear spoiler are the exterior highlights of the 2017 Kia Rio. Inside, the small hatchback features automatic climate control, 3.5-inch driver information display, cruise control, centre console armrest, fully folding rear seats and rear USB charging port. Kia had launched the 2017 Kia Rio in the UAE in August this year. The small hatchback competes with the likes of Hyundai i20 and Toyota Yaris. Its prices start at AED 47,900 (INR 8,44,672.78).